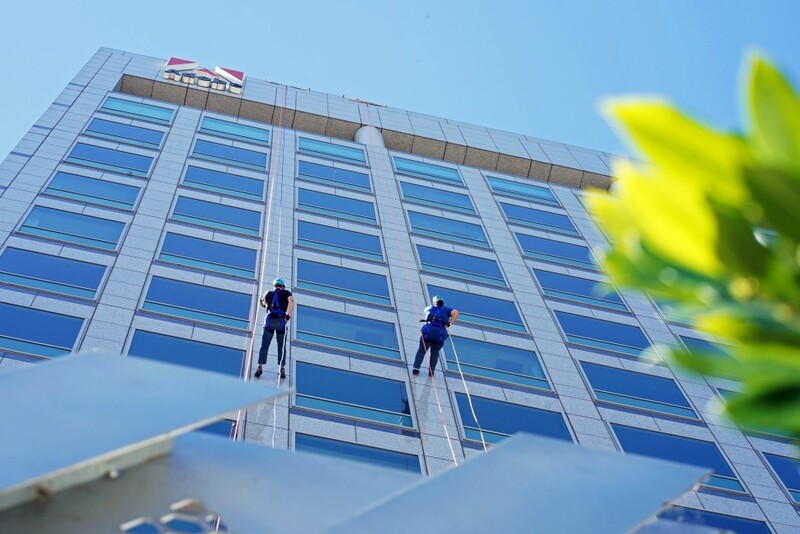 From Bay Area Mayors to tech executives, more than 90 people rappelled down 16 floors of Adobe’s Headquarters in San Jose for the second annual Downtown Drop Down. The event was put together by local nonprofit, Downtown Streets Team, an organization dedicated to helping men and women who are experiencing homelessness throughout the Bay Area. In attendance was San Jose Mayor Sam Liccardo and Sunnyvale Mayor Glen Hendricks who rappelled down together. The event drew small crowds that surrounded the building as they watched person after person come down 236 feet. The goal of the event was to raise $300K in funds to support the homeless in the city. During the event, Adobe pledged to donate at least $100K to the organization and Coca-Cola donated $40K.